Learn about internationally recognized artist, wood sculptor, woodturner, and woodcut printmaker. 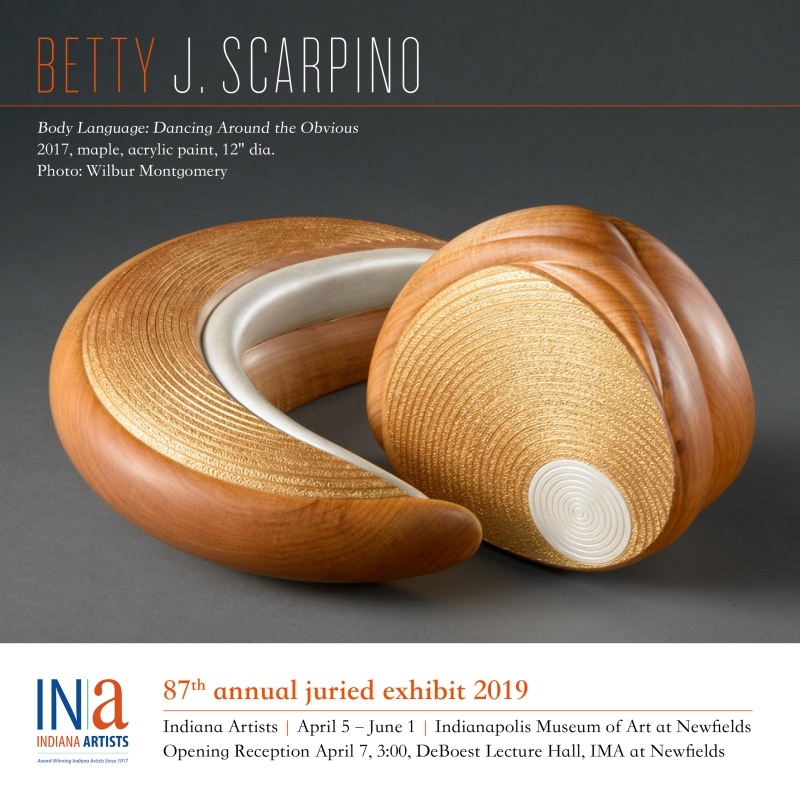 Betty has a work in featured in this show which runs from April 5 – June 1 at the Indianapolis Museum of Art at Newfields. The opening reception is April 7 at 3:00 pm in the DeBeost Lecture Hall. Betty Scarpino’s contemporary wood sculptures combine fluid motion with intricate detail. Her creative energy draws people to her, and numerous awards have come her way. Scarpino was born in 1949 in Wenatchee, Washington. Her career began in the seventies, when she began making furniture and producing purely functional pieces. She has a degree in industrial arts from the University of Missouri where she also studied woodcarving and wood sculpture. While these early years did not develop artistic innovation, Scarpino mastered the techniques that now allow her to create wood sculpture, decorative art woodturnings, and woodcut prints. 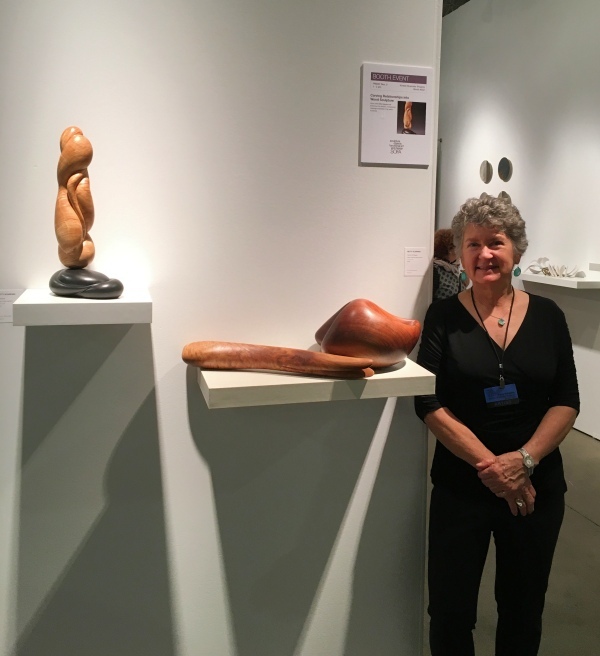 Her abstract wood sculptures and decorative art woodturnings are in the permanent collection of many major museums, including the Renwick Gallery of the National Museum of American Art, Smithsonian Institution. Anderson Ranch in Snowmass, Colorado. 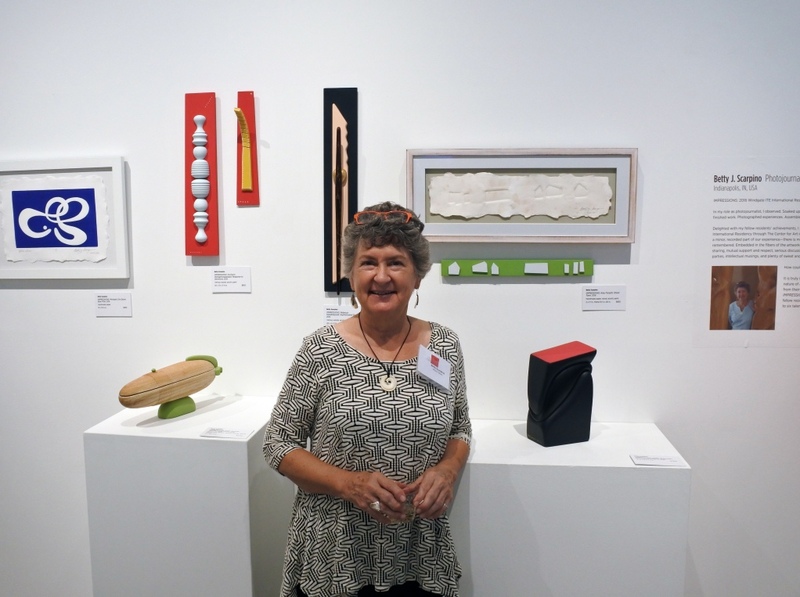 In addition to being represented in many major private collections of craft and wood art, Betty Scarpino’s wood art and sculptures are in the permanent collection of two dozen museums.